Remember mules, those backless shoes with the click-clack cadence? Well, they’ve been reinvented for a whole new legion of fans…or not, depending upon how you feel about them. Wherever you stand on them or in them for that matter, they are predicted to be big this Spring. But lest you think the revamp will send you backwards in the time machine, rest assured the newly styled mules are quite different than the old and promise to actually stay on your feet because of a higher vamp. Also higher is the heel and word is they can supposedly be worn sans the sound effects. I don’t own the new version of mules, but oh my, do I have plenty of the original design in my closet, dating back at least ten years. 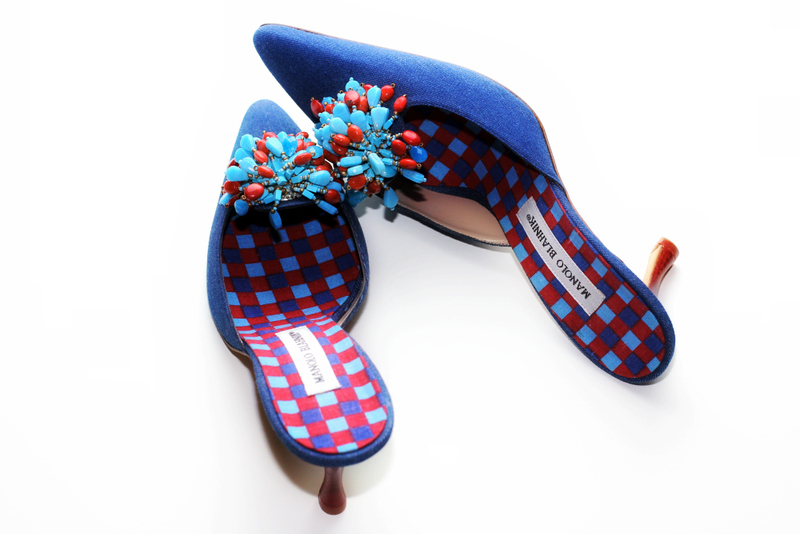 Ironically, most of them have never been worn but I always considered them works of art, created by the master himself, Manolo Blahnik. No matter the style, his shoes have a museum quality that makes them as much fun to look at as they are to wear. Which is a good thing since I clearly spent more time looking at the mules I own than wearing them. It’s also something I should think about before purchasing the new and improved versions. How about you? Will you be wearing the revamped mules this spring?